My own pregnancy 16 years ago (I was aged 26) was all it took to inspire me to become a midwife. Prior to midwifery my background was complementary health. Since the age of 20 I have worked with mostly adults in a therapeutic capacity and have undertaken various trainings, amassing new knowledge, skills and modalities along the way. After qualifying in midwifery, I was fortunate enough to work at The Birth Centre Ltd., Professor Caroline Flint's well known establishment before taking the step into Independent Practice. Independent practice interspersed with occasional NHS stints to keep me up to date and on my toes. Now as a hypnobirthing and birth teacher, my role allows me to support the entire life-changing rite of passage. 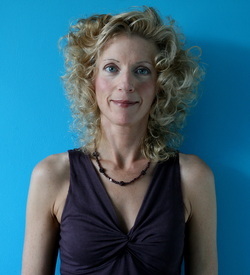 My lifelong professional interest in holistic health is interwoven with other passions which include daily yoga practice, reading non-fiction, writing the occasional poem, walking in the countryside, painting mandalas, having long conversations with people (one to one and in groups), attending groups and events nearby and meeting other people's cats. I am a proud mother to my much adored, interesting and positively emerging 17 year old son who is fascinated by robotics, adept at creating interesting 3D art and who knows more about technology and computers than many adults. I am at present a Family therapy trainee (intermediate level). My approach to midwifery practice is ''relational'', ie. concerning the way in which two or more people or systems connect. I'm finding the theory and practice involved is adding new perspectives that benefit my clients. I can often be heard muttering the words "Pizzas are delivered, babies are born" (probably even in my sleep). I like some things more than other things and the things I love are generally not things at all. ﻿For those who may be interested, Click here to read my own Birth Story.